A healthy stomach and one with peptic ulcers. Peptic ulcers can be caused by certain medications. 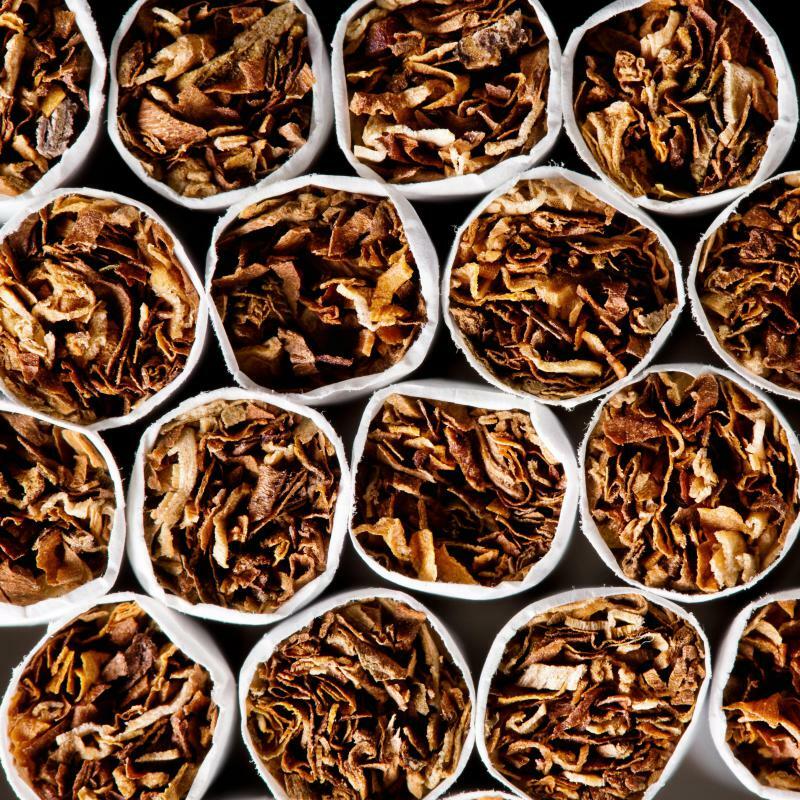 Cigarette smoking can worsen peptic ulcers. Stomach pain is a common symptom of a peptic ulcer. Peptic ulcers can occur in the esophagus. Peptic ulcers are small sores which develop in the acidic regions of the digestive tract. 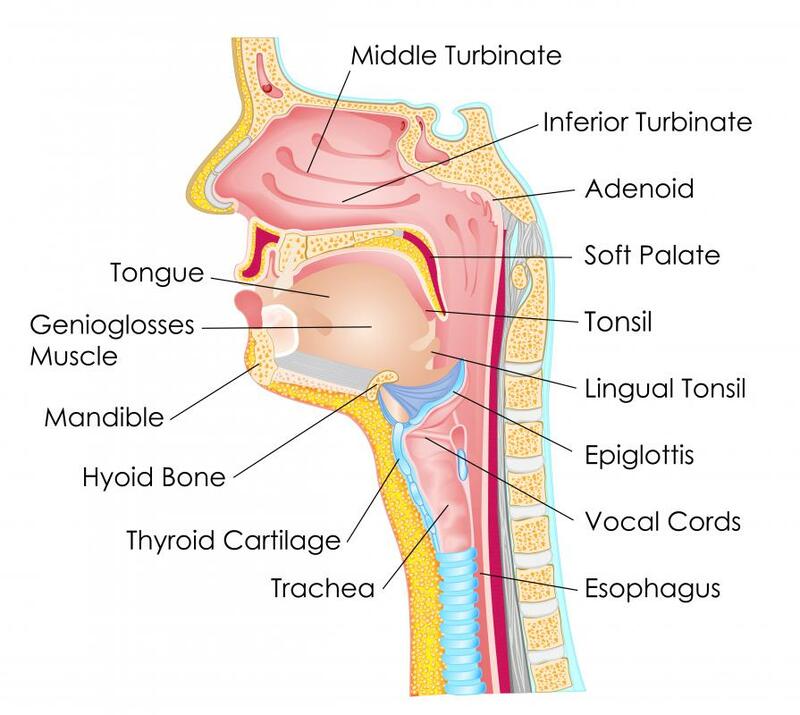 While you most often hear the term “stomach ulcers” in reference to peptic ulcers, ulcers can also develop in the esophagus, duodenum, and the Meckel's Diverticulum. These open sores can be extremely painful, leading to intense discomfort and sometimes medical complications for the people who suffer from them. This medical condition is also extremely common worldwide, with people in a wide range of environments, cultures, and societies suffering from peptic ulcers. Historically, people believed that peptic ulcers were related to stress and diet. In fact, most peptic ulcers are actually caused by bacteria which weaken the mucus lining of the intestinal tract, allowing the harsh gastric acids in the stomach to damage the delicate underlying lining. Peptic ulcers can be exacerbated by things like aspirin, acidic foods, tobacco, and alcohol, but they can appear in people of any age and lifestyle, from a harried physicist to an elementary school student. The discovery that bacteria were often responsible led to a major breakthrough in the treatment of peptic ulcers. Historically, people with ulcers simply had to suffer through them, after making significant dietary adjustments. Today, a round of antibiotics can be used to clear out the bacteria, and antacids can be used to reduce the amount of active acid in the digestive tract, giving the ulcerated lining of the digestive tract a chance to heal over. People with peptic ulcers typically experience stomach pain, abdominal bloating, and nausea. In some cases, the ulcer may actually perforate the lining of the digestive tract, creating a medical emergency which must be addressed with prompt surgery. Peptic ulcers can be diagnosed with the assistance of a gastroscopy, in which a camera is inserted into the digestive tract to look for ulcers. Diagnosis is important, to rule out potential causes such as cancers, which are malignant and dangerous if untreated. 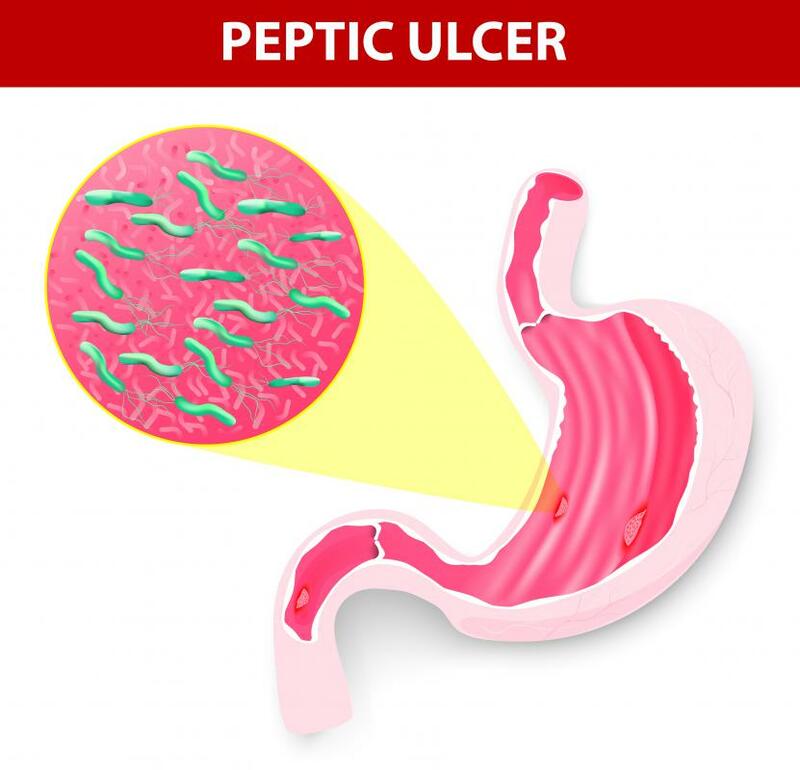 Many people neglect to seek treatment for peptic ulcers, rationalizing that the condition is bearable, if irritating, or operating under the assumption that there is no treatment. This is not a good idea, both because peptic ulcers are treatable, and because the symptoms associated with peptic ulcers are also linked with some dangerous medical conditions. There is no reason to suffer with the pain of peptic ulcers when treatment is possible, especially since treatment promotes good gastrointestinal health. What Are the Different Peptic Ulcer Symptoms? 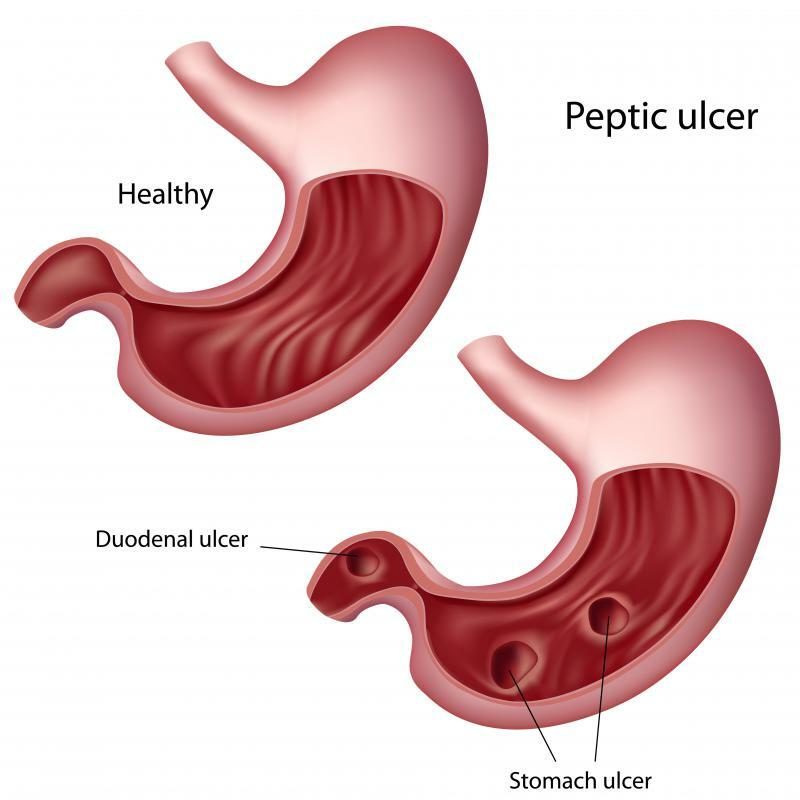 Which Foods are Allowed on the Peptic Ulcer Diet? What are the Best Tips for Healing Ulcers? What is the Connection Between Ulcers and Cancer? What is the Connection Between Bacteria and Ulcers?